Global real estate markets are breaking a sweat, and Vancouver should be no exception. Those same foreign buyers that sent property values soaring around the world are now a little short on foreign currency. New regulations now prohibit the exchange of yuan for real estate, making it tricky to get currency into foreign markets. Without that sweet yuan converted, Chinese buyers won’t be able to continue driving prices, and could have trouble paying for existing property. Everyone knows China has capital controls, but most don’t know about China’s capital controls. They’re a set of restrictions on converting yuan into foreign currency. A requirement since the yuan is basically Monopoly money outside of China, since it’s not convertible…yet. Each Chinese citizen is allowed to convert up to US$50,000 per year, per person. If that number seems low to be purchasing prime real estate, it is. The benchmark average for a property in Vancouver was CA$897,600 (US$689,805) in December 2016. Foreign buyers don’t have verifiable income by Canada’s standards, so they need 30% down. This works out to CA$179,520 (US$137,961) – more than 3x the amount that can be converted and exported. So how do you get more than that out of the country to become the largest group of foreign property buyers? Smurfing. Smurfing is a controversial process where a large amount of money is wired in small sums. These sums are designed to be small enough to avoid the scrutiny of financial regulators. People get family, friends, strangers for a fee, underground banks, etc. to transfer the money to separate bank accounts abroad. Those separate bank accounts are then assembled into a downpayment. The process repeats until you run out of money or the house is yours. It’s a soft-form of money laundering, but the money isn’t necessarily ill-gotten. Since there’s nothing to demonstrate the money is from the proceeds of crime, the Canadian government is more than happy to have the money flow in to Canada. This all changed January 2, the first business day of 2017. 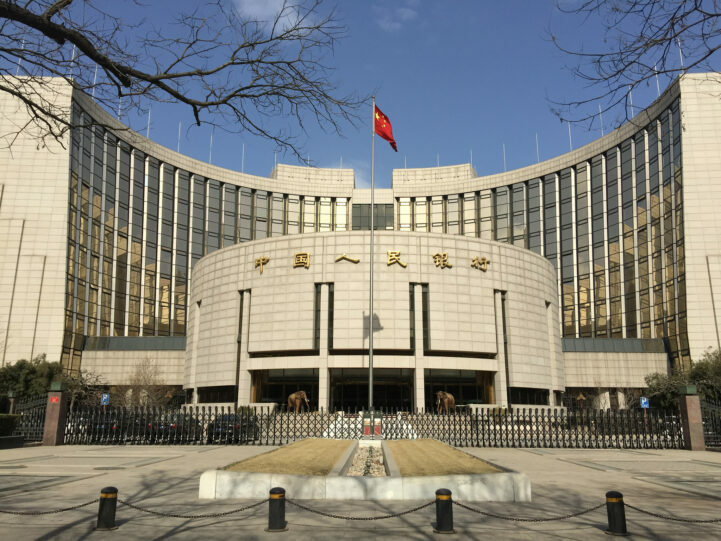 The People’s Bank of China (PBoC) and The State Administration of Foreign Exchange (SAFE) surprised citizens and banks by adding new barriers. Citizens exchanging currency now need to provide a declaration explaining an acceptable use. The US$50,000 limit remains, but banks are now required to report transfers greater than ¥200,000 (US$29,000). Exchanging currency is now prohibited for buying bonds, “insurance-type” products, and real estate. New penalties were also rolled out if you’re caught lying, or lending your allowance. Violators of the policies are now subject to a 3 year ban, and an investigation for money laundering. Keep in mind, money laundering in China is getting money out of the country without an approved use. So it’s not the supervillain laundering crime money that comes to mind when you hear the term. For the most part, these are just regular families looking to move their money abroad. How Does This Impact Vancouver Real Estate? This will impact real estate around the world, but Vancouver is a particularly popular place for Chinese buyers. Using the foreign buyer data from the B.C. Ministry of Finance, we can see 4,515 units bought between June 2016 (the first month tracked) to November 2016 (last point available). The average price of units during those periods is CA$1,012,372 (US$776,091), around 14x the median household income of a BC family. Not exactly chump change that can be absorbed domestically. Some quick back of the napkin math explains how Vancouver real estate is in for a ride. Foreign buyers provide a 30% downpayment, which at the average would leave CA$708,000 (US$542,757) on a mortgage. At 4% with a 30 year amortization, you’re looking at CA$3,369/month (US$2,582) before taxes, maintenance, and insurance. That’s CA$40,428/year (US$30,975), also known in China as 13,000 yuan too many to not be reported by your financial institution. Not every one of the 4,515 buyers is going to default, but that’s the tip of the iceberg. B.C. has only been tracking foreign buyers for 6 months, and Vancouver has been a popular destination for Chinese buyers for much longer. The number of foreign homeowners that need to evade capital controls is likely much higher, and will be subject to the same barriers. So unless someone is working on an Uber for money laundering, Vancouver’s going to see a fire sale. Still skeptical this will impact Vancouver real estate? 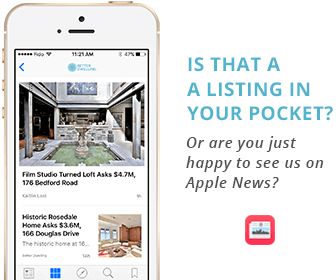 There’s currently 1,777 listings in the Greater Vancouver Region for sale. January saw 179 price reductions, roughly 1 in 10 in properties. Although I’m sure somewhere a Realtor is saying it’s a Chinese New Year sale. Like this post? Like us on Facebook for the next one right in your feed. It’s practically magic. Photo by Julien Gong Ming. If only someone at the province could do basic math. Oh, they can. They just don’t want too. Likely why the BC Libs are backtracking on the foreign buyer tax. I suspect there are creative ways for the wealthy in China to dodge the capital controls. And there always will be. The truly wealthy are in bed with the Communist party, so they usually get a pass. But the optics are bad for Vancouver real estate, and perception is reality in real,estate. President Jinping’s mandate was to reduce corruption in China, that sent most of the money scrambling in 2015. They’re prepping to turn the yuan convertible by next year. Cracking down is going to make the Party much wealthier than letting it hemorrhage. They modified the rules and made them much tougher. You used to be able to convert cash by mobile phone, and send it to whoever. Lending and borrowing your quota was fairly normal. Now there’s a signed declaration with reasoning involved and a bunch of new restrictions. Lending your quota is also prohibited. One of our writers touched on this a couple of weeks ago with some of the details. Today’s post also touches on some different things like the $3 trillion foreign exchange level analysts believe China is trying to keep. It’s kind of a bigger market event than most people realize. Our provincial government is corrupt, period. I’ll fall short of stating our federal government is as well. But the reality is that both levels of government have conveniently turned a blind eye to enforcement of illicit foreign money. Last year there was an unprecedented inflow of mainland Chinese money. Many of the wealthy foreign buyers, and realtors helped promote mass hysteria amongst locals and the notion that there was suddenly a shortage of homes resulting in multiple offer situations that was witnessed last year in the lower mainland from West Vancouver through to Abbotsford. Many of us heard the stories of realtors approaching home owners to sell their homes no matter how ridiculous the price. No one, and I mean no one parts with hard earned money like that. Now the multiple offer situation has evaporated along with the demand, particularly for semi-detached homes. We’re in a debt- fuelled bubble of epic proportions that our politicians are still promoting because the real estate lobbyists/politicians don’t want to erode their own self interests (unrealized capital gains) by disrupting the over inflated real estate markets. The real estate values are highly inflated, and the inflow of foreign cash, in particular in the past year, which resulted in the double digit appreciation, has created unsupported and artificial valuations. Unfortunately for all the politicians and lobbyists, economics will always trump artificial market (asset price ) manipulation. Anyone look at their current property assessments as of July 1,2016? Canada is at record debt and some of the highest debt in the developing world. Furthermore, the system is marred with mortgage fraud, and countless individuals who have over extended themselves over fears of being priced out. If any piece of the equation changes, and there are many parts to this equation, such as dwindling housing demand, interest rate hikes, and as this article mentions, any real measures by China to curtail capital outflows, it will have devastating effects on our real estate dependent domestic economy. Probably the biggest risk in my opinion will be the inevitable reversal of the extremely low interest rate environment that has helped promote the exorbitant consumer debt levels. At some point, the real estate disaster that hit the United States will come knocking at our door. It’s not a matter of if, it’s a matter of when. We used 4% because the average mortgage booked in 2015 was 3.96%, and 4.38% in 2014. In pre-historic times (10 years ago), the average rate 5.91%. It’s true that you can get a 2.5% rate if you have stellar credit, and are okay with a 5-year variable. We spoke to a provincial finance minister the a few months ago and he said we should expect rate hikes going forward however.